Fast and easy Sausage and Egg Quesadillas are for those mornings when you want something delicious but you don’t have a whole lot of time to fuss. 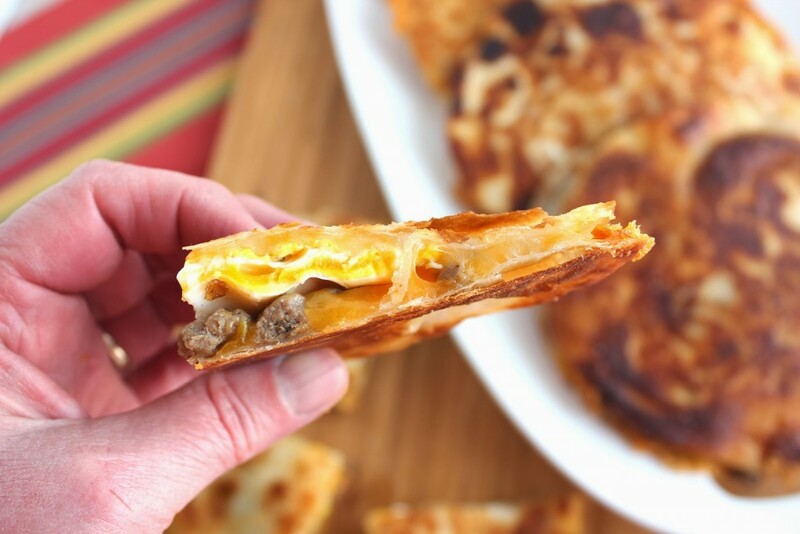 The recipe I’m sharing with you today for Sausage and Egg Quesadillas is super quick and super easy to prepare because it takes advantage of Jimmy Dean precooked sausage crumbles, prepared shredded cheeses, and a package of flour tortillas. The only thing you’ll really have to do to prepare these delicious quesidillas is fry up a few eggs, and do the assembly. BAM! You’ll be eating in no time! 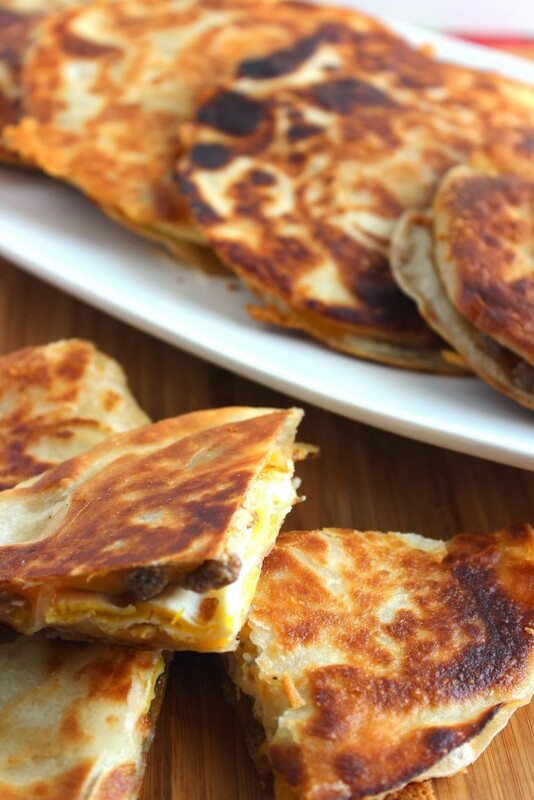 These quesadillas are crispy and crunchy on the outside with plenty of melted cheese on the inside. When coming up with this recipe, I thought it would be a fun addition to layer in a fried egg to accompany the delicious precooked Jimmy Dean sausage crumbles that are heaped in the center, and nestled perfectly between two layers of melted cheese. Yep. I was right! It’s an unexpected addition, and utterly delicious. 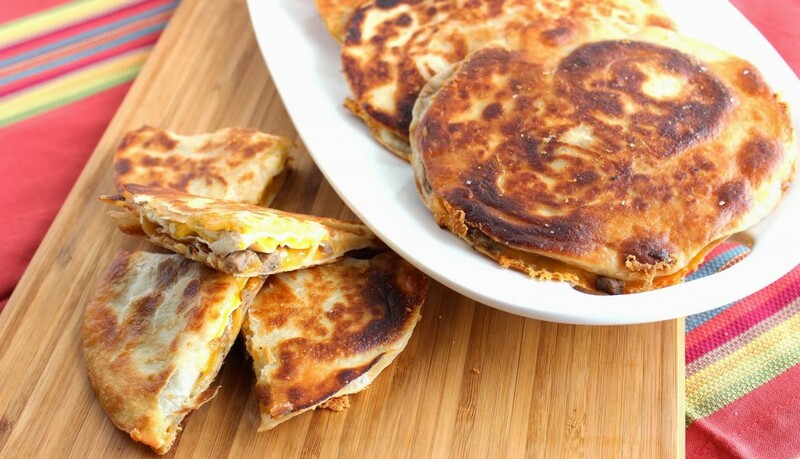 These Sausage and Egg Quesadillas are fantastic as breakfast, snacks, and even as a quick weeknight dinner when there’s little time to cook, and you need something delicious, and protein packed that can be eaten on the run, for when you’re off and running. And for those really, really busy days, you can make these in advance, store them in the fridge and then pop them in the microwave to heat and eat whenever you’d like. They’re the perfect kind of fast food…the homemade kind! -Lay out 6 tortillas on a baking sheet. 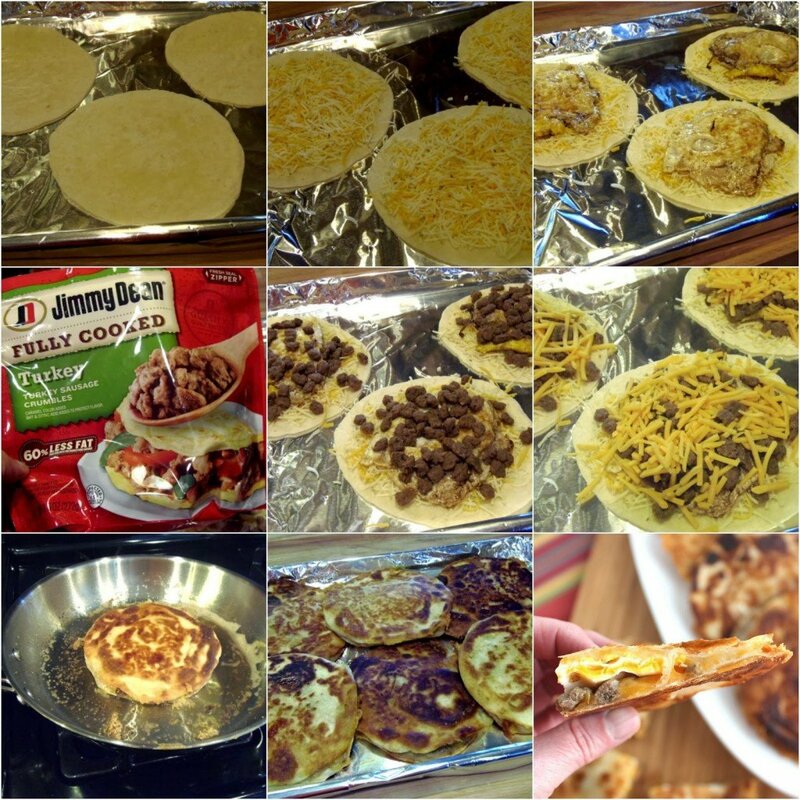 -Top each tortilla with an even layer of Pepper-Jack cheese. -Top the Pepper-Jack cheese with a fried egg. -Top each fried egg with an even layer of Jimmy Dean precooked sausage crumbles. -Top the sausage crumbles with an even layer of cheddar cheese. -Top the cheddar cheese with the remaining flour tortillas. -For each quesadilla, heat approximately 2 teaspoons of oil a large skillet over medium/high heat. -One at a time, place each tortilla in the skillet and cook for about 30-45 seconds until the tortilla in nicely browned and the cheese has started to melt. Carefully flip the quesadilla and cook the second side for an additional 30-45 seconds until the center is heated through and the cheese is nicely melted throughout. -Cool slightly, slice and serve. *Note – These can be cooled completely, wrapped individually and kept in the fridge to heat and eat as you need them. For oven heating: Wrap them individually in foil and heat in the oven for about 5 minutes at 325 degrees. For microwave heating: Wrap individually in a paper towel and heat in the microwave for about 40 seconds on medium heat. If there is ever anything I can paint for you, please don’t hesitate to contact me or visit my shop which is located within the navigation bar. Custom orders are always welcome and I can work from any photo or description you send my way. #spon: I’m required to disclose a relationship between our site and Jimmy Dean. This could include Jimmy Dean providing me w/content, product, access or other forms of payment. 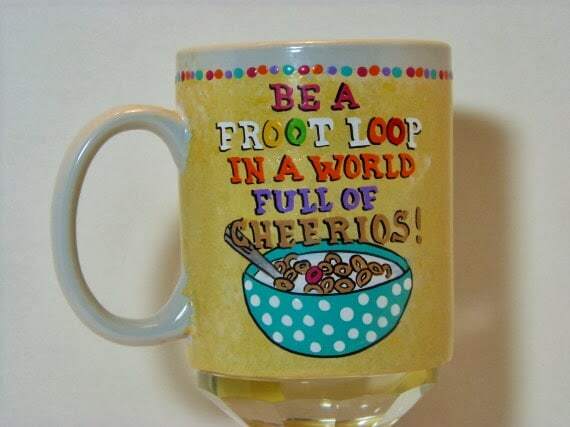 You would have no problem getting everyone around the breakfast table with these waiting! They look scrumptious Renee! Love your recipe.